• Friday, October 21, LMU Children Center’s Fall Festival, 3:30 to 8:30 p.m. Join the LMU Children Center for its annual Fall Festival. Activities include live entertainment, petting zoo, bounce house, games, rides, prizes and more. Admission is $25 presale and $30 at the door. Children under 12 have free admission with adult. Admission includes dinner, a drink and desert. Children also receive five complimentary game/ride tickets. The event will take place on Hannon Field on the campus of LMU, located at 1 LMU Drive in Westchester. For more information, please call (310) 258-8900 or visit facebook.com/lmucc. • Saturday, October 29, Harvest Fest at Concert Park in Playa Vista from 11 a.m. to 2 p.m. Guests can enjoy a costume contest, music, food trucks and activities for the whole family. Concert Park is located at Concert Park Drive and Seabluff Drive in Playa Vista. • Saturday, October 29 and Sunday, October 30, Harvest Days & Haunted Nights, times vary. 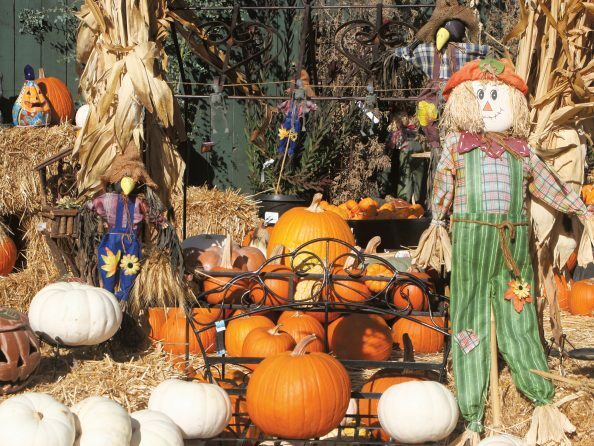 Head to the Marina for a family-friendly harvest celebration by day, but be prepared if you stick around too long the event transforms into a spooky Haunted Nights event recommended for those ages 13 and up. At Harvest Days from 10 a.m. to 6 p.m., visitors to Burton Chace Park can enjoy a pumpkin patch, face painting, train ride, food, games and a costume contest. Haunted Night guests can enjoy haunted pirate ship tours, hay maze, zombie pirates, food, a master pumpkin carver and more. Haunted Nights run Friday, October 28 from 5 to 9 p.m.; Saturday, October 29 from 6 to 9 p.m.; and Sunday, October 30 from 6 to 8 p.m.
For more info visit marinadelrey.lacounty.gov. 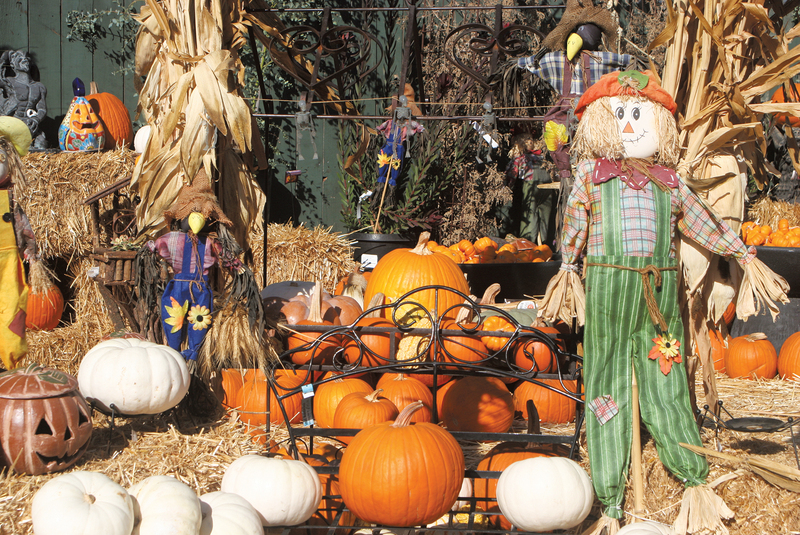 Pictured: Marina del Rey Garden Center has a great pumpkin patch with a large variety of pumpkins for purchase. Marina del Rey Garden Center is located at 13198 Mindanao Way in Marina del Rey.